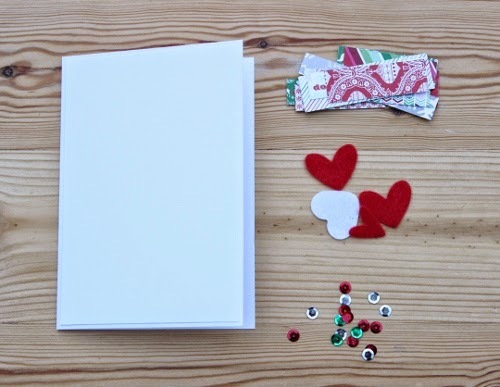 There's nothing quite like making your own cards, gifts and decorations at Christmas time. But it can seem a bit daunting when you're faced with such an array of products in the craft stores and time is running out. 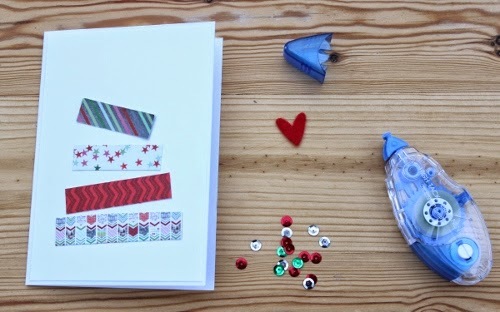 Just by keeping your design clean and simple you can have a batch of handmade cards in around an hour, less time than it will take you to go to the shops. Even a card making novice can create a unique and stylish handmade card in no time at all. 1. Cut paper into strips about 1.5cm wide and varying lengths. 2. 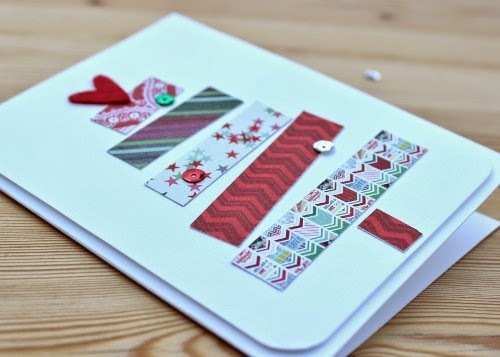 Assemble a tree by arranging 5 strips of paper on the front of the card. The trick to this design is that the paper strips are not placed perfectly straight on the card front, giving it a quirky and contemporary feel. 3. When you're happy with the arrangement stick the strips to the card front. 4. Then stick 3 sequins on the tree and a felt heart on the top. Use a strong glue like PVA so they don't fall off in post. In the run up to Christmas Preloved are sharing tips and tutorials so that you can give your Christmas that personal touch.